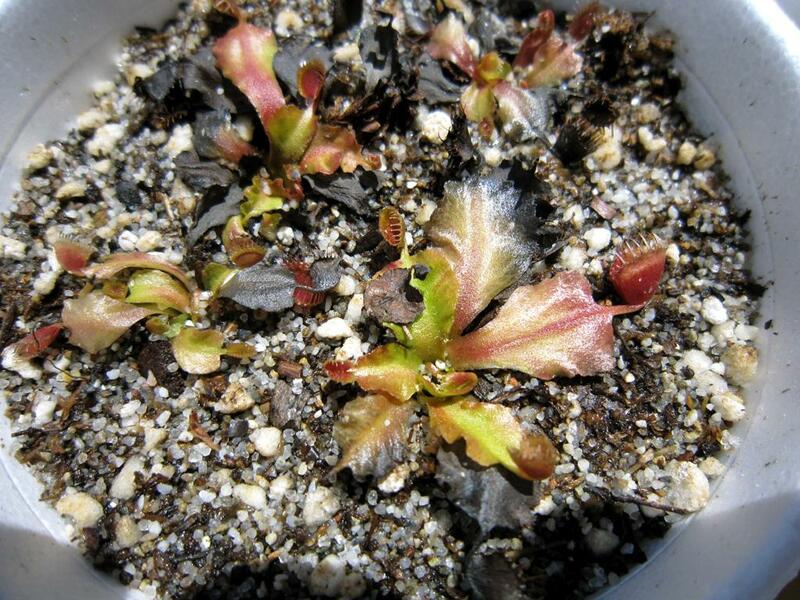 Venus fly traps, or any plant for that matter, growing in sheltered or extremely controlled conditions, such as indoors under artificial lighting, in a greenhouse, or in a windowsill, will need a period to adjust to outdoor growing conditions. This process is known as hardening off plants. Through the process of hardening off, plants are gradually introduced to harsher conditions in a less controlled environment (typically outdoors). The plants are exposed to more sun, wind, rain, etc., and this exposure toughens up the cuticle on the leaves so that the plants lose less water and become accustomed to the UV rays of the sun on their leaves. Similiarly, we humans cannot go from receiving no direct sunlight on our skin to receiving multiple hours of sunlight every day. We would get severely sunburned if we did! We need to slowly introduce our skin to sunlight, allowing the pigment in our skin to darken gradually. As we prolong exposure, our skin will get darker until we have acquired a nice tan. Venus fly traps coming from protected environments also need gradual exposure to sunlight in order to avoid getting sunburned. 1) Placing the plant in a location that is protected from full sun, but received bright indirect sunlight. A few examples of such locations include under a large tree that shades the area all day, under a 50% shade cloth, or under a deck where some dappled light still gets through. 2) Place the plant outdoors in early morning sun each day for a fixed period of time and then bring the plant back indoors or to a more sheltered location. Start with a 30 minute exposure time and gradually increase the exposure time over the course of a month until the plant is outdoors in full sun all day. 3) Place the plant outdoors in full sun provided that it is sufficiently early in the growing season and the sun is not too intense. People at northern latitudes can get away with this much easier than those in the South. Some people choose to simply put an unhardened Venus fly trap out in full sun and let it acclimate without a hardening off period. This can be done, but there is risk of losing the plant. At the very least, the plant will likely suffer severe sunburn and most likely will lost most of its leaves.